Josh Maurer has been named radio broadcaster for the Triple-A Pawtucket Red Sox, the team announced in a release Tuesday. 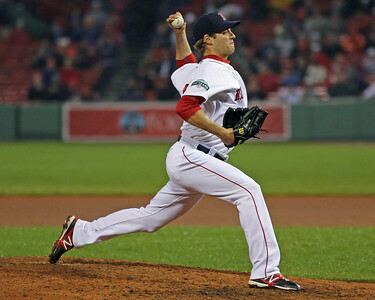 Maurer will join play-by-play Jeff Levering in the PawSox booth. He replaces Bob Socci, who was hired last July as the voice of the New England Patriots. The team of Maurer and Levering will broadcast all 144 Pawtucket games from the flagship 920 WHJJ Providence and a dozen affiliated systems. Recently signed left-hander Francisco Tena was suspended 50 games for being caught taking a performance enhancing drug. Tena was expected to be a member of the Dominican Summer League Red Sox squad. Ian Browne of MLB.com talked to the recently signed Francisco Cordero about his motivations for signing with the Red Sox and his health status. Jim Callis of Baseball America and MLBPipeline.com looked at how Mookie Betts outstanding 2013 season was no fluke, placing him high on top prospect lists. Deven Marrero discussed trying to emulate Dustin Pedroia and how he views spring training with Rick Weber of ESPN Boston. I hope everybody is geared up for the start of spring training games this week! I'm writing to bring your attention to a new feature on the SoxProspects.com home page. Below the 1-20 Top Prospect rankings, you'll see that we added a new section for "Graduates Age 25 & Under." In this section, we plan on tracking recent younger graduates, such as Will Middlebrooks and Rubby De La Rosa. We also expect that players like Xander Bogaerts, Jackie Bradley Jr., and Brandon Workman could join this group early in the 2014 season. Additionally, we slid the "Graduated MLBers" section to the left-hand column and moved the "Post-Prospects" column from the Prospects 21-60 page onto the bottom right hand column of the home page. Post-Prospects will no longer be ranked, but will be listed by position. The Prospects 21-60 page will now focus exclusively on, you guessed it, the prospects ranked 21-60 in the Red Sox system. As always, thanks for reading. We welcome any feedback you may have. Left-handed pitcher Francisco Tena has been suspended for 50 games for violating the Minor League Drug Prevention and Treatment Program. Tena tested positive for Stanozolol, a performance-enhancing steroid. Tena was signed out of the Dominican Republic in December and was expected to be on the Dominican Summer League roster. His situation is similar to that of Gerson Bautista, who tested positive for the same substance in April 2013 before making his professional debut. After completing his 50-game suspension, Bautista remained on the restricted list for the rest of the season. The Fort Report is back for another year! Every Monday during spring training, we will be detailing all the Red Sox minor league news and notes from the week that was down in Fort Myers. With pitchers and catchers reporting on Saturday, and position players reporting tomorrow, baseball if officially back. ESPN's Keith Law joined Chris, Matt, and Ian to discuss his Red Sox top 10 prospect list on the latest edition of the SoxProspects.com Podcast. Keith provides great insight on his selections, and also discusses a few highly touted prospects who just missed the list. We continued our offseason rankings conversations by chatting with ESPN's Keith Law. 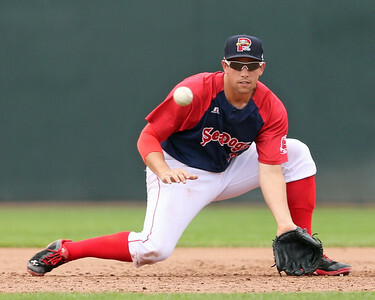 We asked Keith about how the Sox system compares to other top systems, how Garin Cecchini compares to Bill Mueller, who might be breaking into the top 10 in the future, and more! Who needs a Valentine's Day date when you can listen to Chris, Matt, and Ian? Links and in-site player after the jump. The Red Sox have signed right-handed pitcher Chris Resop to a minor league contract, reports Matt Eddy of Baseball America. 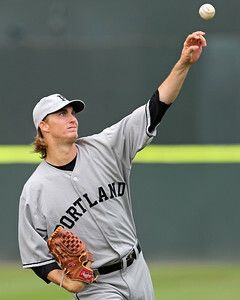 Resop is something of a journeyman, as the eight-year major league veteran joins his sixth professional organization. Eddy also reported that infielder Tony Thomas, who spent the last three years in the Red Sox system, has inked a minor league deal with the Minnesota Twins. Resop, 31, has 235 major league appearances in his career, all coming out of the bullpen. A fourth-round pick in the 2001 draft, Resop reached the majors with the Florida Marlins in 2005. The bulk of his major league success was as a member of the Pittsburgh Pirates, when he posted a 3.88 ERA in 162 1/3 innings between 2010 and 2012, striking out 149. While the major league roster was more or less finalized before 2014 began, the Red Sox still needed to find some added depth. One area in particular that they were looking to do this was in the bullpen, a position that is notoriously volatile. With this in mind, the Red Sox brought back Milton, Mass native Rich Hill (pictured, right), signed fellow left-hander Jose Mijares, and signed right-hander Jose Valdez. Outfield, especially center field, was another area that the Red Sox lacked organizational depth. They helped solve that problem this month by signing Scott Cousins, re-signing Justin Henry, and signing former first-round draft pick Corey Brown. Brown's deal is the only one of the three that includes an invitation to major league spring training. The Red Sox have signed outfielder Corey Brown to a minor league contract that includes an invitation to major league spring training, reports Gordon Edes of ESPNBoston. According to Matt Eddy of Baseball America, the organization released outfielder Cody Koback. Brown, 28, plays all three outfield position and brings power to the organization. A first-round draft choice of the Oakland Athletics in 2007 out of Oklahoma State University, Brown has 123 home runs in his minor league career, including 30 in his 2008 full-season debut.